Our highlight video for our 2010 Walt Disney World vacation. Time glides by with constant movement, not unlike a stream; for neither can a stream stay its course, nor can the fleeting hour. Now, let’s see… Was that Monday or Tuesday that we went to Downtown Disney. Tuesday? Oh, okay. Then what did we do Monday? But at any rate, we’re all home now. If the bold sentence above didn’t give it all away, my family and I just got back from Walt Disney World. If you’ve read anything else posted on my website (like stuff here, here, and even here) then you probably know I have a thing for central Florida, Disney World in particular. I don’t want to take every vacation there. (The beach is nice too.) But I do like to visit frequently. I started out this trip keeping a sort of “travel diary” like I did in 2007, our last full-on family trip to Disney. But this time that approach didn’t work. We had ten travelers this time. Tina’s brother brought his family down too. 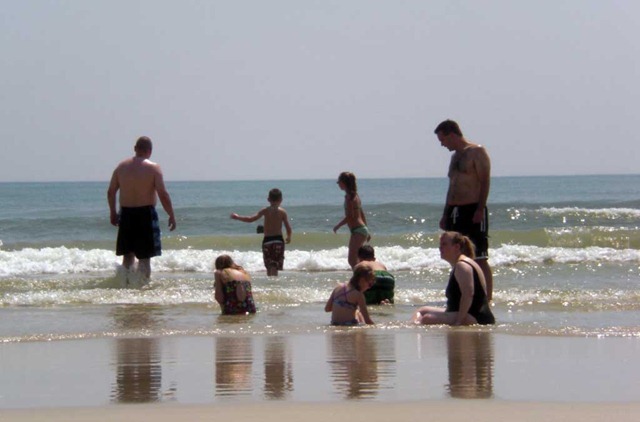 And between the six excited kids and four excited adults, time was a precious commodity. No time to spend tweeting or Facebooking, if that’s a word. (My status update was “is at the mall for a haircut” for two weeks. Loooong haircut…) And by the end of each day I was so wore out with all the walking and park hopping (and extreme heat!) that I didn’t feeling like writing a daily recap. Oh, it started out good. I have an entry for “Day One…” Not much after that. Well, where to begin? To start I should probably mention that we didn’t hit the Disney parks straight away. We spent the night in Daytona Beach just down the street from the speedway. So Monday morning we got up and hit the beach. Very nice weather! It was cool to be able to just drive the car right on the beach and park. We got a few good hours of swimming and wading in before heading to Lake Buena Vista. So it was almost like two vacations in one. 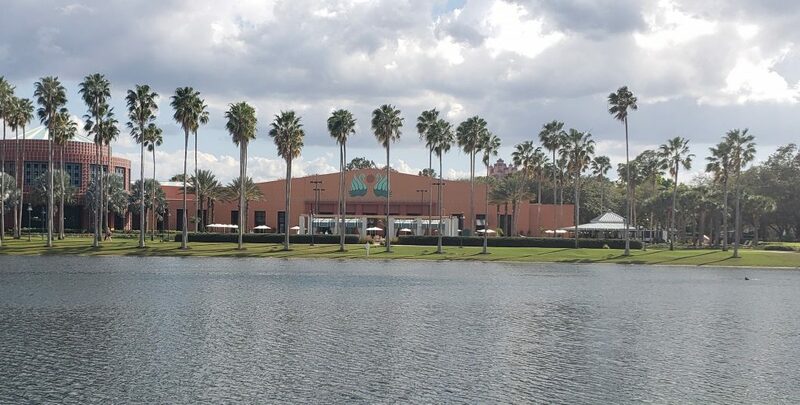 After our first family trip to Disney World we had decided that future visits to the “Happiest Place on Earth™” would include staying on Disney property in one of the resorts. We have stayed on site two previous times. 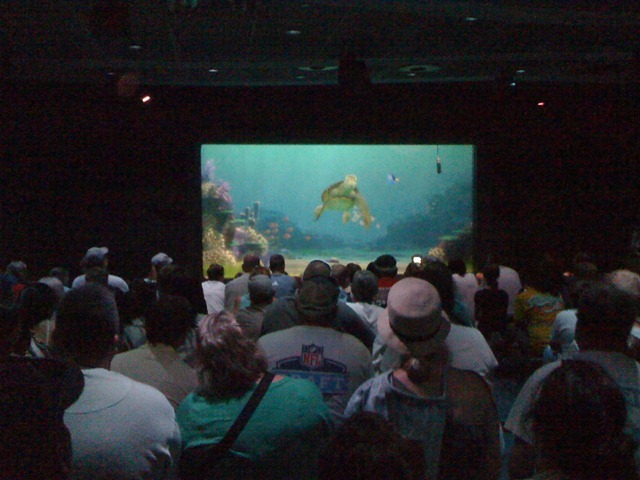 Once at the All-Star Movies Resort (in 2002) and once at the All-Star Music Resort (in 2007). 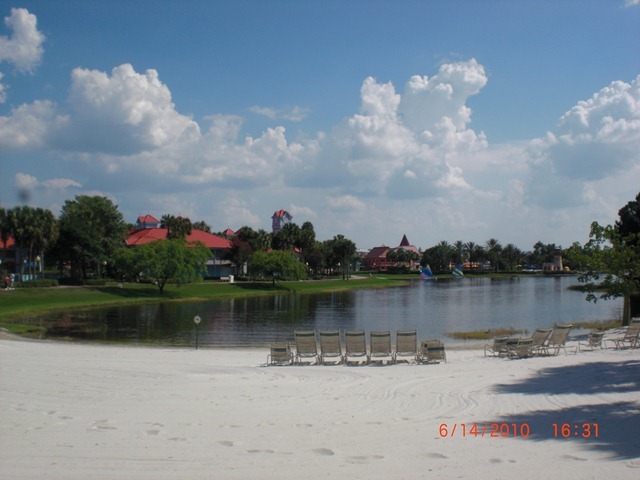 For something different, this time we chose the Caribbean Beach Resort as our destination. 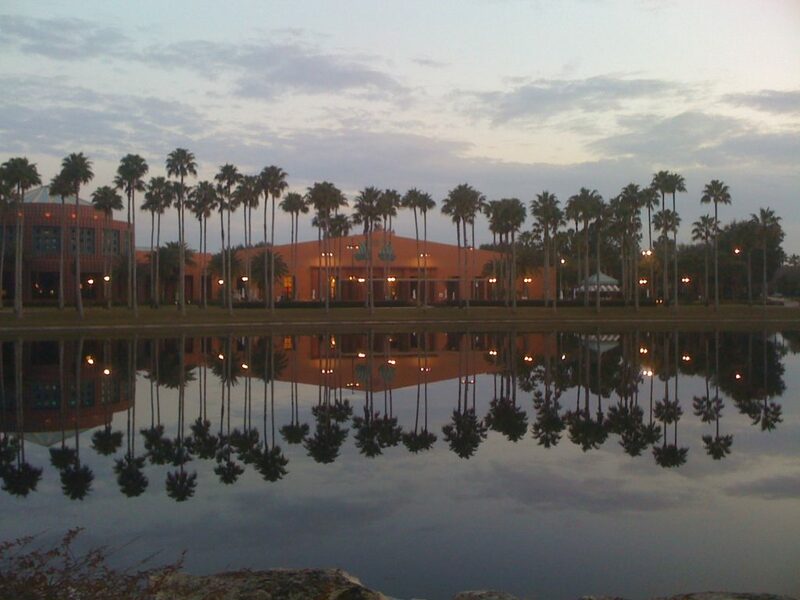 It’s so nice to be able to arrive in central Florida and just park the car and leave it. Let Disney do the driving for you. After checking in, we took a little tour of our new home. Very nice place. Our park hopping began on Tuesday with a trip to Epcot. We got to ride Mission: SPACE together as a family, each with our own responsibility as crew member. Then the kids got to try their hand at being a mission specialist in the Advanced Training Lab in the multiplayer game Mission: SPACE Race. Later in the week, we went back and had the chance to be astronauts. Our team (Team Triton) won! I love the interactive attractions at Disney. Turtle Talk with Crush and the Monsters Inc. Laugh Floor are incredibly entertaining. It’s so amazing to see those animated characters talk to you in real time. Cool stuff! 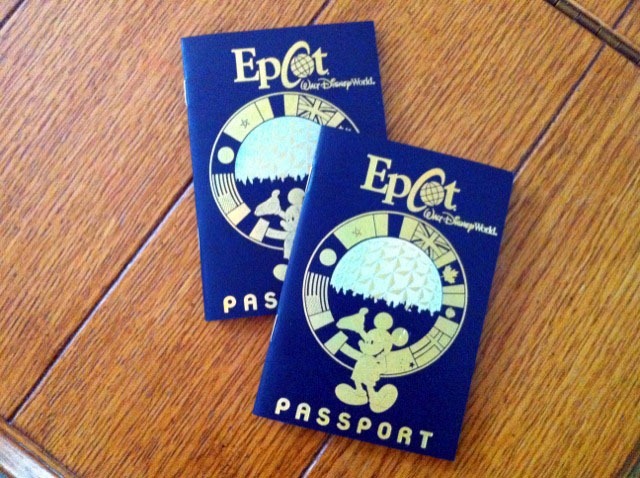 Oh, and one of the best ways to keep kids motivated on your trip to Epcot’s World Showcase is to pick up a World Showcase “Passport” when you arrive. Kids can get their passport “stamped” and signed at each country they visit. They can also create a colorful mask in any country and take that with them from country to country. Our kids got to see their names written in several different languages. One last tip for kids (and adults): the new Kim Possible World Showcase Adventure is a blast! The kids are recruited as special agents who must defeat some crazy villains and save the day. The kids get a neat high-tech “Kimmunicator” that looks like your average flip phone from 2005. But the screens come to life sending kids on miniature adventures throughout one World Showcase country. Keep your eyes peeled for the unexpected… I won’t ruin it for you, but the best climax comes in Mexico. I’ll just say it was a very cool way to prevent a missile launch! I think this post has lasted long enough… Gosh. I’m only two days into the vacation and have written a short story. More to come in the next post. But anyway, for a short while, things were calm. 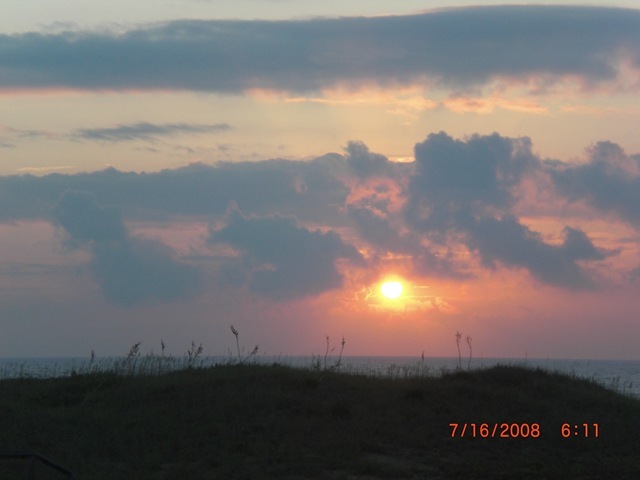 We went on vacation to the Outer Banks of North Carolina last week. It’s obviously becoming one of our favorite summer hide outs, since this is the second year in a row we’ve visited there. Probably the most obvious tweet of the bunch, huh? But probably my favorite, ‘cause it’s at the beginning of the vacation. It was quite busy at the beach on Sunday and Monday. A little bit busier than I remember last year at least. It was a little difficult to find a place to stretch out for those two days. After Tuesday it got a little better. just spotted some dolphins on the dolphin watch. 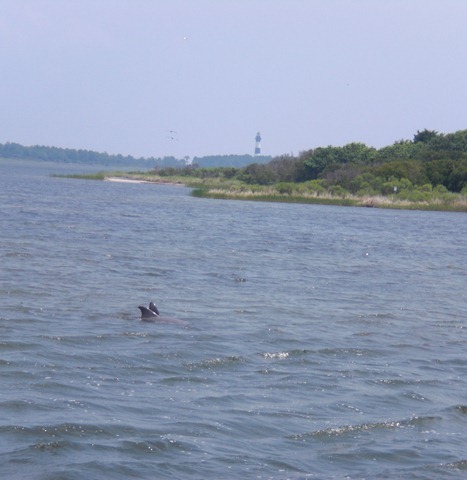 We took a tour from the Nags Head Dolphin Watch and we did spot a pack of about five dolphins. We also went to see a performance of “The Lost Colony” at the Waterside Theatre on Roanoke Island. I really enjoyed the production, and it has gotten me interested in early American history again. I am especially interested in learning more about Queen Elizabeth and those first early English settlers. Anyone know of any good books to read? is eating at the "Tale of the Whale" restaurant, Nags Head. 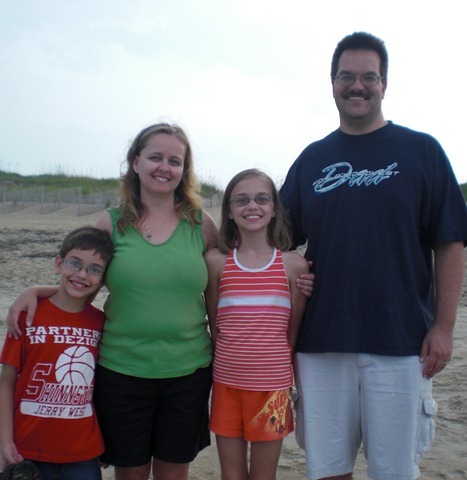 When we head to the Outer Banks we like to try a different restaurant each time we go. This trip we decided to head to the “Tale of the Whale” restaurant. Excellent food, nice atmosphere, and pleasant live entertainment. 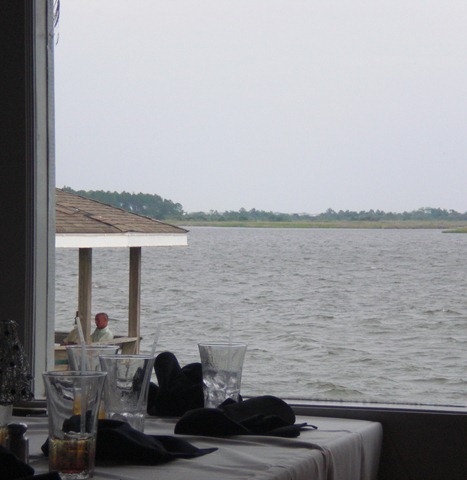 And of course a great view while you dine! I’ve got some other pictures that I’ll be uploading to Facebook and flickr, so keep an eye out for those. And now, it’s back to RL. And things are about to get busy around here. Ho hum. So I’m sure I’ll be looking back at this vacation as one last gasp of serenity. I guess I’ll just take things one day at a time, since that’s how they come at you anyway. Good thing, huh? This looks like it would really be a fun ride. The video above actually talks about the “Disney’s California Adventure” version, but I would imagine that the “Disney’s Hollywood Studios” version is similar. We took a long weekend mini-vacation this weekend and decided to stay pretty close to home. Last time we did this we headed to Niagara Falls. Before that, Pittsburgh. So this was different. We decided to see the sights that West Virginia has to offer. I’m not much of a Mountain Man. I don’t fish, I don’t hunt. But even so it was nice to see some natural beauty. We took a ride on the “New Tygart Flyer” and rode to a secluded waterfall. See the previous post for a pic. Then on Saturday night we saw a show at the “American Mountain Theater.” The show has only been running for a couple of weeks now, and it’s a brand new experience for West Virginia. There’s nothing else like it around. The show reminds me a lot of the Comedy Barn in Pigeon Forge, with a lot of singing and a little comedy. The AMT crew does an impressive job and they have a good foundation to build upon. The entertainment was great. Top notch musicians and a family-friendly atmosphere make this show a can’t-miss. We visited Smoke Hole Caverns, Seneca Rocks, Spruce Knob and Blackwater Falls to round out our Sunday. I will post pics soon. – Posted by MobiBlogr from mobile phone.